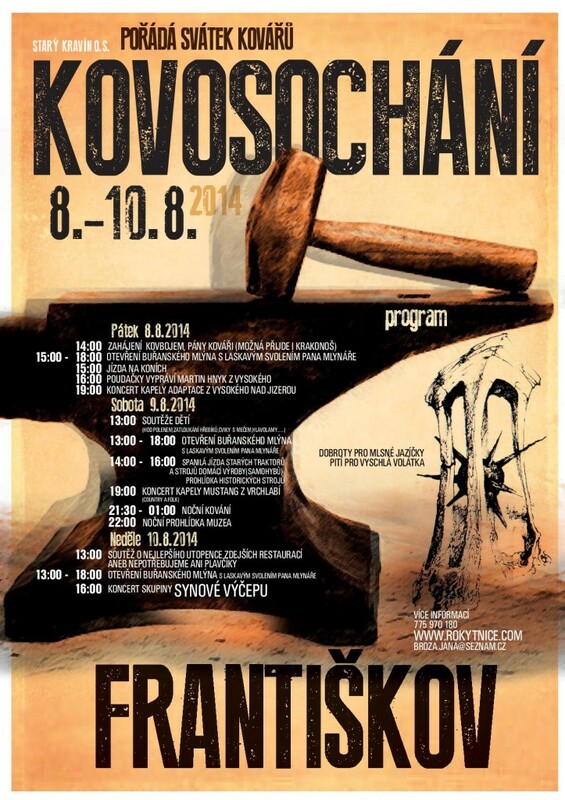 Metal Sculpturing festival, one of the regular appointments in Frantiskov valley near Rokytnice nad Jizerou is going to be held between 8th – 10th August 2014 in Frantiskov. The programme includes games for children, concerts, local cuisine and other interesting appointments. Our mill we be opened every day afternoon, Friday 15-18, Saturday and Sunday 13-18.